Despite the transition from apartheid to democracy, South Africa is the most unequal country in the world. Its extremes of wealth and poverty undermine intensifying struggles for a better life for all. 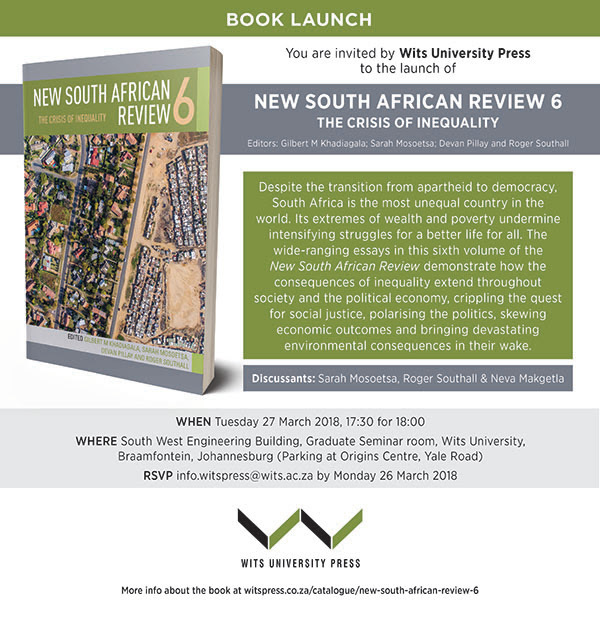 The wide-ranging essays in this sixth volume of the New South African Review demonstrate how the consequences of inequality extend throughout society and the political economy, crippling the quest for social justice, polarising the politics, skewing economic outcomes and bringing devastating environmental consequences in their wake. More info about the book click here.